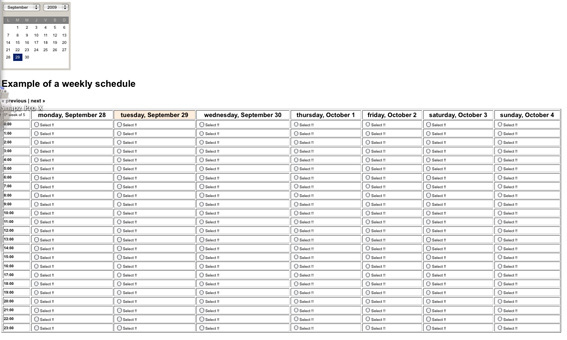 This class can be used to show calendar of a given week. It takes the day, month and year of a given date and generates an HTML table with the days of the week of the given day. The class also generates links to browser the previous and the next weeks.